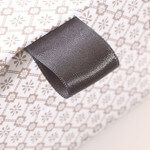 A range of biosourced, recycled and biodegradable eco-friendly ribbons. These “eco-friendly” ribbons stemming from either natural products or waste reprocessing, push the boundaries of eco-design even further when it comes to the packaging and decoration of luxury products. Products made from certified organic natural fibres, guaranteeing a clean, responsible manufacturing cycle free from pesticides, insecticides or GMOs. 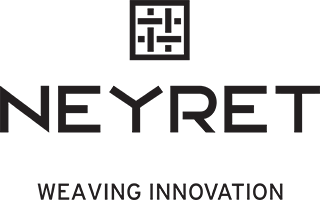 Woven with natural fibres such as Lyocell (eucalyptus), bamboo fibre or even biopolymers meaning the biodegradable ribbons disappear after use. To customize these eco-friendly ribbons, we also offer eco-friendly inks: water-based inks or Oekotex-certified inks guaranteeing no harmful chemicals are used. The dyes can also be ecological and bear the GOTS label (Global Organic Textile Standard): an international certification imposing a very high level of environmental and social requirements. 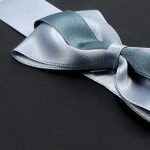 An innovative and 100% bespoke eco-friendly ribbon ! 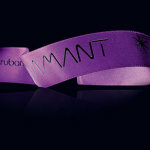 …and of course the possibility of creating a new and fully bespoke eco-friendly ribbon for each customer.